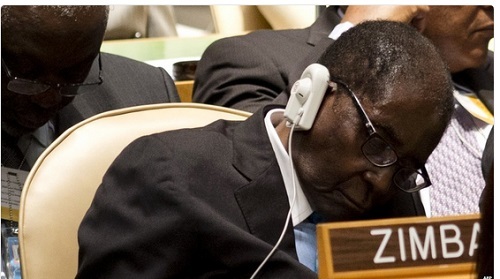 President Robert Mugabe has denied claims that he normally sleeps during meetings and events due to old age. Zimbabwean President Robert Mugabe, 93, is not asleep when he closes his eyes for long periods in public events but is resting his eyes from bright lights, his spokesman said Thursday. The President has been spotted many times sleeping at events, including when he appeared on a discussion panel at last week’s World Economic Forum meeting in South Africa, according to AFP. “I feel like a failure when there is this reading that the President is sleeping in conferences, no,” his spokesmanGeorge Charamba was quoted as saying in the state-run Herald newspaper. Giving reasons why Mugabe's eyes are most times closed while events are going on, Charamba compared Mugabe to Nelson Mandela, whose eyes were sensitive to flash photography after years of working in a limestone quarry when he was imprisoned on Robben Island. 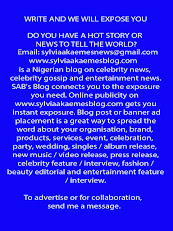 “You were not allowed to even use flashes whenever he was in the room,” he said. Mugabe, who has trouble walking unaided, is in Singapore on one of his regular medical trips. Charamba said the president was receiving specialised treatment for his eyes and that his general health was good. Mugabe’s foreign medical trips are often criticised in Zimbabwe, where healthcare has collapsed due to the country’s economic troubles.